Message of the President of the United States, and accompanying documents, to the two Houses of Congress, at the commencement of the second session of the Thirty-ninth Congress, 1866. Annual Message to Congress with Documents; Pres. Johnson. [1281-1286] Treaties with Indian tribes; annual report of the Sec. of War (Serial 1285); annual report of the Sec. 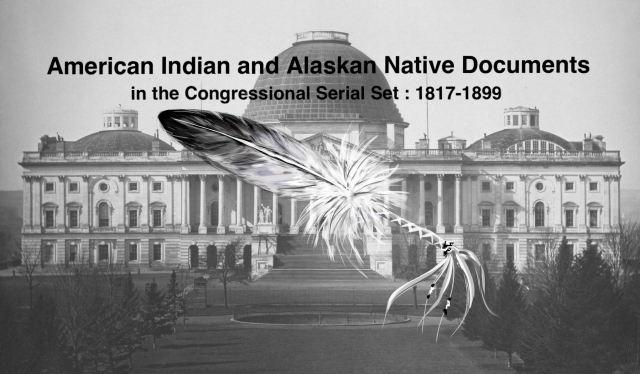 of Interior (Serial 1284); annual report of the Gen. Land Office (Serial 1284); annua; report of the CIA (Serial 1284), including taxation of Indian land, trust funds and trust lands, population of tribes, farming statistics, and reports of Supts., agents, and schools; etc.